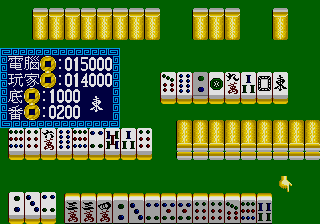 I laugh whenever I hear the woman say something that sounds like, "toilet"
This game is fustrating as hell if you can't play Mahjongg. Even if you can, it's really not worth the trouble. I appreciate this game's unique concept, but it just doesn't work well at all. I found myself easily bored with it, and the endless frustration just makes the game rather unenjoyable.